Click to open a pdf file of the Agenda for Core Team Orientation. 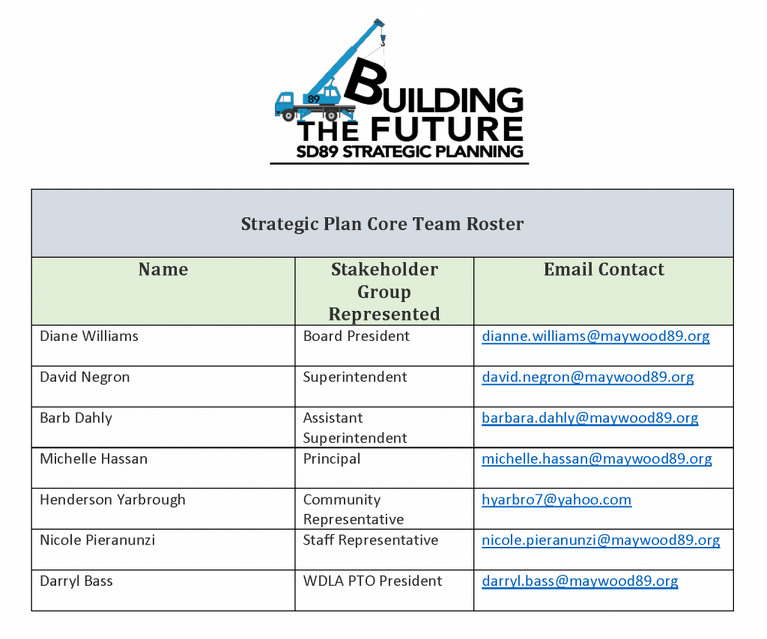 Click to open a pdf file of the Strategic Plan Core Team Roster. Click to open a pdf file of the Strategic Management Overview.